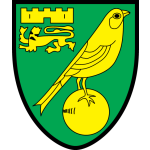 When the curtain falls on the 2013/14 season, Norwich will be right at the centre of conversations about the most improved team of the campaign. After Paul Lambert departed Norwich for Aston Villa many analysts predicted that Norwich City would slide back towards the Championship, but the Norwich board replaced him with Chris Hughton, possibly the most underrated coach and manager in the league. 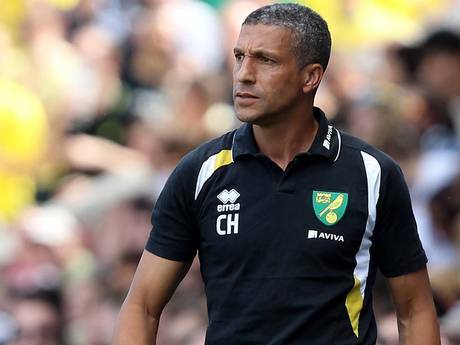 Following a good first season in charge, Hughton has managed to do arguably the best business of the transfer window meaning Norwich City fans should have a lot to look forward to. After a successful career as an effective Full Back, mostly at Tottenham, Chris Hughton spent 15 years as a coach before sitting in the hot seat himself. The majority of that apprenticeship was served at Tottenham, where Hughton worked his way through the ranks as youth team coach and reserve team coach, before becoming first team coach in the early 00’s. He came into the limelight as Martin Jol’s Assistant Manager, and following Jol’s departure, Hughton joined Newcastle. After a couple of spells as caretaker manager, Hughton was finally given the permanent manager’s job at St. James’ Park for the 2009/10 season and masterminded Newcastle’s return to the top flight with relative ease. Hughton was sacked by the Newcastle owner, Mike Asjley, in December 2010, in spite of the newly promoted side sitting in 11th place. The decision was extremely unpopular with Newcastle fans, and in truth enhanced Hughton’s reputation. When Hughton finally arrived at Norwich, the team struggled in the opening part of the 2012/13 season, before going on a long unbeaten run which virtually secured their safety. Hughton guided Norwich to 11th in the table, and masterminded victories against Manchester United, Arsenal and Manchester City over the course of the season. Signing from FC Twente for a fee thought to be in the region of £4.5m, Leroy Fer’s potential alone means that this deal is a bargain. In fact, the price for Fer was almost double this when Everton agreed a fee with Twente in January. That deal fell through when Everton were unsatisfied with the players history of knee injuries following a medical. 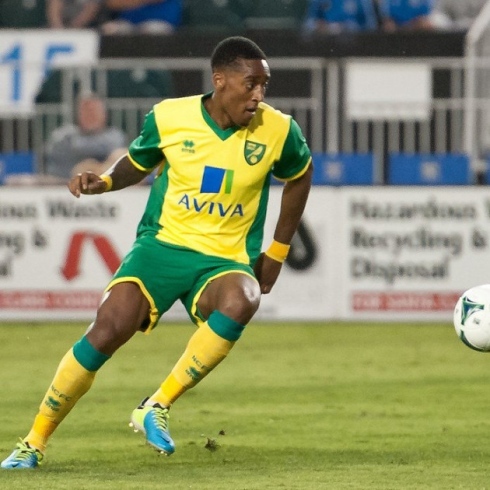 If Fer can remain fit, Everton’s loss could well be Norwich’s gain though, as the 6″2, 23 year old has often been compared to the likes of Patrick Vieira and Edgar Davids. Having played in both attacking and defensive midfield roles in his young career, Fer will likely be a box to box midfielder for Norwich. Examples of his pedigree are his 31 appearances for the Dutch Under 21’s and the fact that he was made vice captain as a 21 year old during his time at Feyenoord. In his past two seasons at Twente, Fer has also added another dimension to his game, having scored an impressive haul of 21 goals in all competitions. 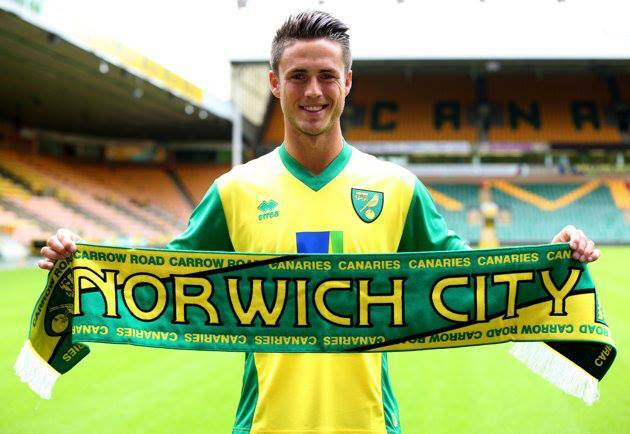 This will leave Norwich fans excited at the prospect of Fer teaming up with fellow Dutchman Ricky van Wolfswinkel (pictured below), in a combination that could be a key feature not just for Norwich, but for the Netherlands for years to come. Norwich will probably end this season in a position not too dissimilar to last season, but they are likely to have closed the gap of 19 points that existed between them and the European places last season. They are an incredibly solid team all around, but particularly down the spine. 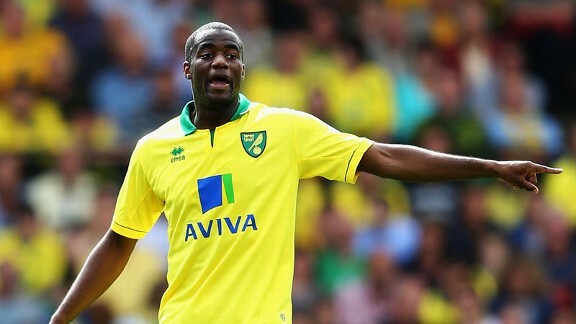 John Ruddy, a solid and reliable goalkeeper, protected by Michael Turner and team captain, Sebastien Bassong (pictured below) make for a strong defensive unit. In front of them, Wes Hoolahan was a stand out performer last season, and will continue to orchestrate the Norwich midfield. Added to these, the new signings of Fer and van Wolfswinkel , SPL top scorer Gary Hooper and long time Blackburn stalwart Martin Olsson ensure that Norwich City have a bright future ahead of them.